For academic institutions who want to ensure students retain foundational knowledge, ace final exams, pass the boards, go on to complete more higher education, or prepare for their future career, this platform makes the learning process measurably effective. Elena P. Cunningham, M.A., PH.D. In every subject or training area, with every team and individual learner, your learning objectives will be achieved using a single platform. Repurpose, modernize, and organize your existing training materials from multiple sources with advanced multimedia content creation tools. Or use our fully customizable Courseware - available in 7 subjects. Support your entire department, individual classrooms, and learners with robust admin tools and analytics that empower you to track progress and long-term retention, or offer additional help those who are struggling. 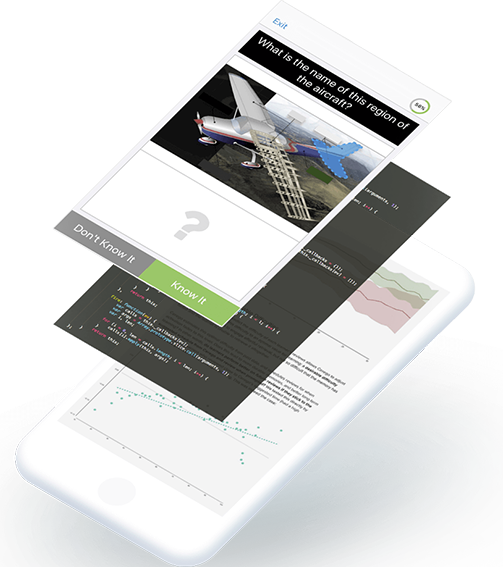 A mobile-first approach and offline study capabilities enable employees to learn on-the-go. 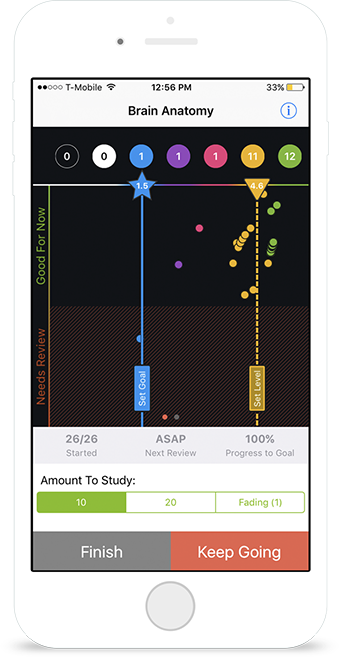 A visual way to easily track progress - by the learner individually or a combined group of learners. Easily understand how well content or learners are performing - and offer help where and when it is needed most. Try it for yourself - free!